Bucks in Beans: Quality Bucks At Home! I live and do most of my hunting near Branson, Missouri – about 20 miles from the Arkansas line. I live in the Ozark Mountains. Steep, rocky, and very low fertility soil. Low quality oak and fescue pasture make up the vast majority of habitat. There are no grain fields, combines, silos, etc., associated with production row crop ag and large bucks for many miles. There is a close association between soybeans and bucks that tend to produce larger antlers. My favorite food plot crop here is soybeans! Clearly there’s a close association with soybeans and bucks producing larger antlers and does producing more fawns. Yearling, two, three, and older bucks tend to produce substantially larger antlers when they consume soybean forage during the summer and pods during the winter compared to only consuming native browse during the summer and acorns during the winter. Larger antlers (per age class) are a great indication of herd health. I like healthy deer and the by-product of larger antlers! 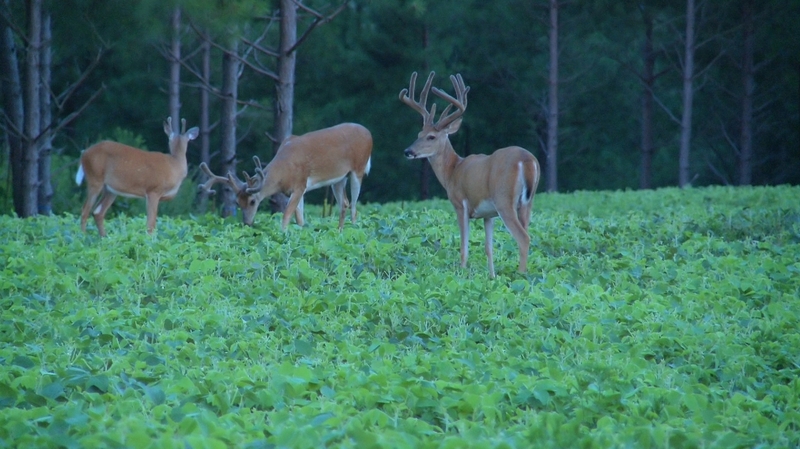 Soybeans are unquestionably one of the best food plot forages for deer. The biggest limiting factor for soybeans is the total acreage of plots compared to the number of deer using those plots. For example, soybeans are not a good value for a ½ acre plot in an area with a lot of deer unless the plot is protected by a Hot Zone food plot protection fence. The fences are great to protect plots and allow soybeans to mature enough that deer won’t damage them by over-browsing the young plants. I toured a farm yesterday that is in mountainous timber country! This area typically produces 110-120” mature bucks. The bucks are simply limited by nutrition. Saplings, acorns, and fescue pastures do not allow bucks to express their antler growth potential at any age class. Soybeans are easy to grow just about anywhere and provide great nutrition for deer. Over the past three years this landowner has converted some fescue pastures to food plots planted in soybeans. Yesterday we observed some great bucks! They were much better than average for that region! I’ve seen the same thing in pine plantations in the South. I’ve commonly prescribed for clubs to plant the thinned rows in pine stands with soybeans (Watch GDTV 19) and have watched substantial increases in average antler size and the huntability of the bucks! Soybeans are easy to grow just about anywhere and provide great nutrition for deer. 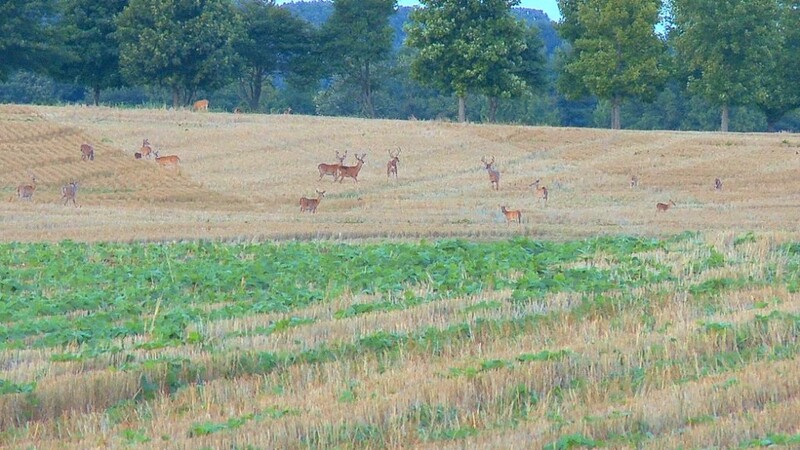 Rather than wishing you could hunt deer like you watch on hunting shows filmed in the Midwest, create some soybean food plots and enjoy the same quality bucks at home!